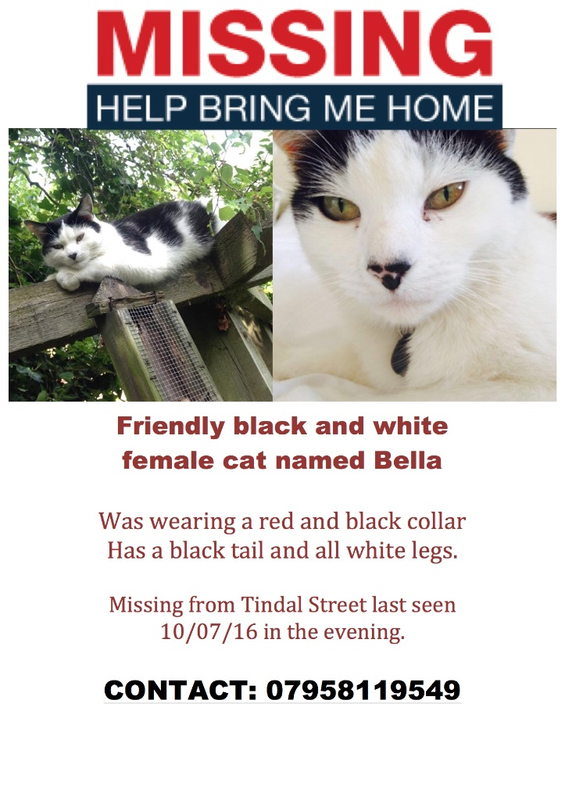 Bella lives in the patch around Tindal Street, Langton Road and Myatt Road and hasn't been seen since Sunday. Her family (including Tori the former park development officer) would very much appreciate any information about her whereabouts. They would be grateful if people would check their gardens and sheds etc to see if she's there. Please contact us at enquiries@myattsfieldspark.info if you have seen her.